May | 2013 | "A Place for Learning"
The young artists did a fabulous job on their poppy paintings yesterday. We had a little “test” to be sure they are remembering some of the things I tell them in class and they all did a terrific job. I so glad that what I teach is sticking with them. Great job everyone!!! 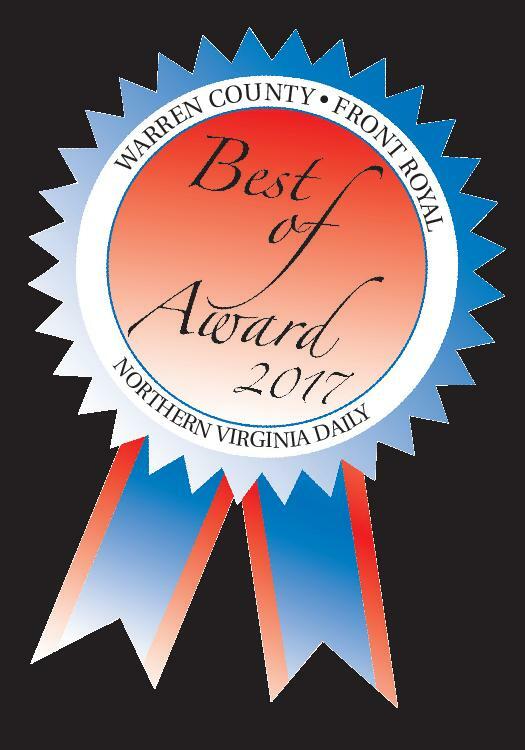 We just got notification that Delilah’s Art and Gifts shop has been nominated for “Best Unique Gifts” and “Best Specialty Gifts” categories in the Northern Virginia Daily’s Annual Best of Awards. WooHoo! 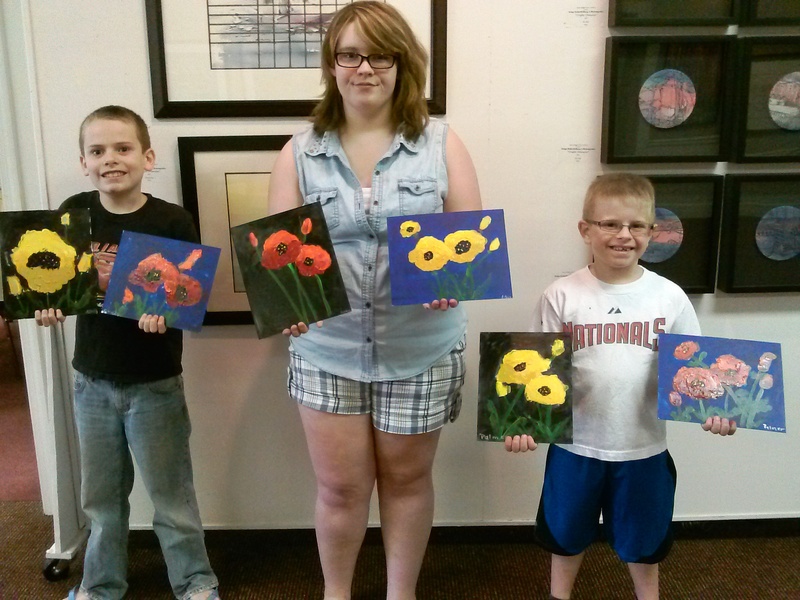 And nominated as “Best Local Artist” and “Best After School Activities” for art lessons was Kelly Walker! We are thrilled. Thanks for the nomination. It’s just 3 weeks to the beginning of Art Camp. 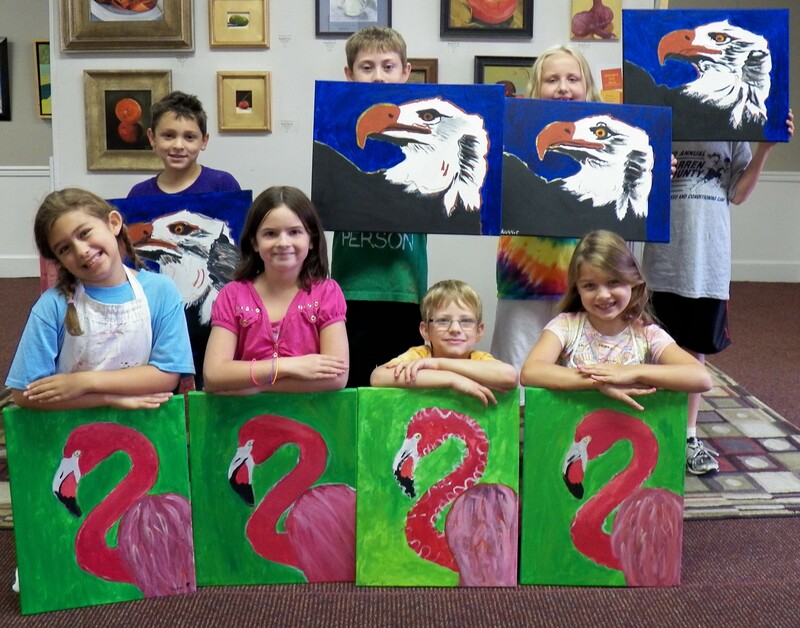 If you have kids ages 5 – 18 there is a session for your young artist. This year we are offering a couple of short (2 day) sessions for younger artist, ages 5-7 and for our busy older painters (ages 14-18). Plus we have our usual sessions for ages 8-13. Take a look at the flyer and registration form here and find the session(s) that works for your schedule. We have great painting planned! Here’s the next in the series of 30. 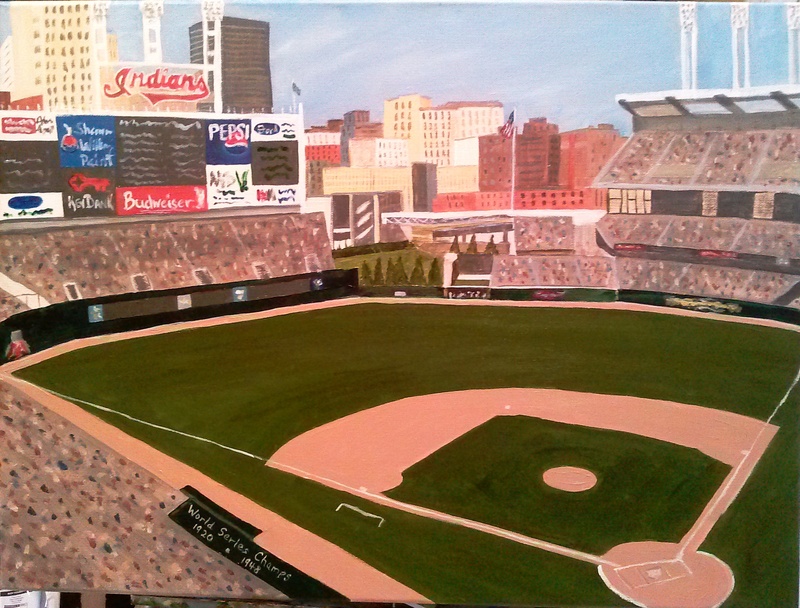 Cleveland Indians Progressive Field! Gustav Klimt is an artist that we don’t see often enough. You may recognize his style. His most famous painting “The Kiss” is one that many people know. 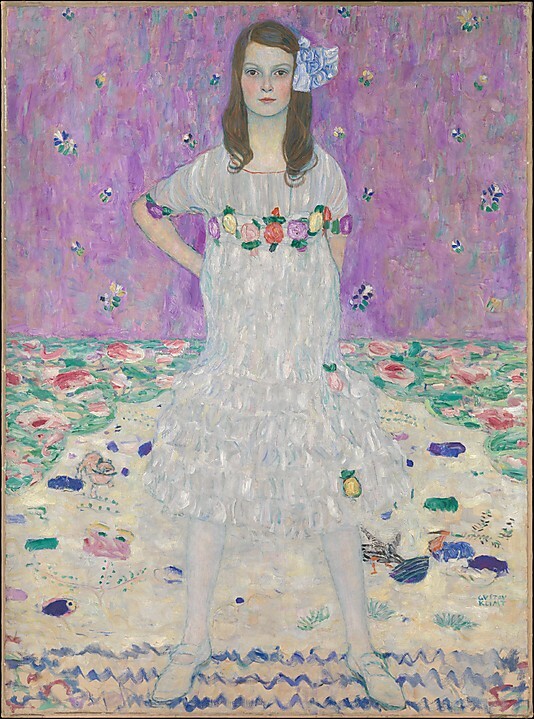 This painting is one I saw at the Met recently. It is Mada Primavesi, painted in 1912. She was the daughter of a banker and industrialist and the actress Eugenia Primavesi whom he painted in 1913. Click here to read more. My niece Lexie graduated from high school yesterday and I gave her this painting as one of her graduation gifts. 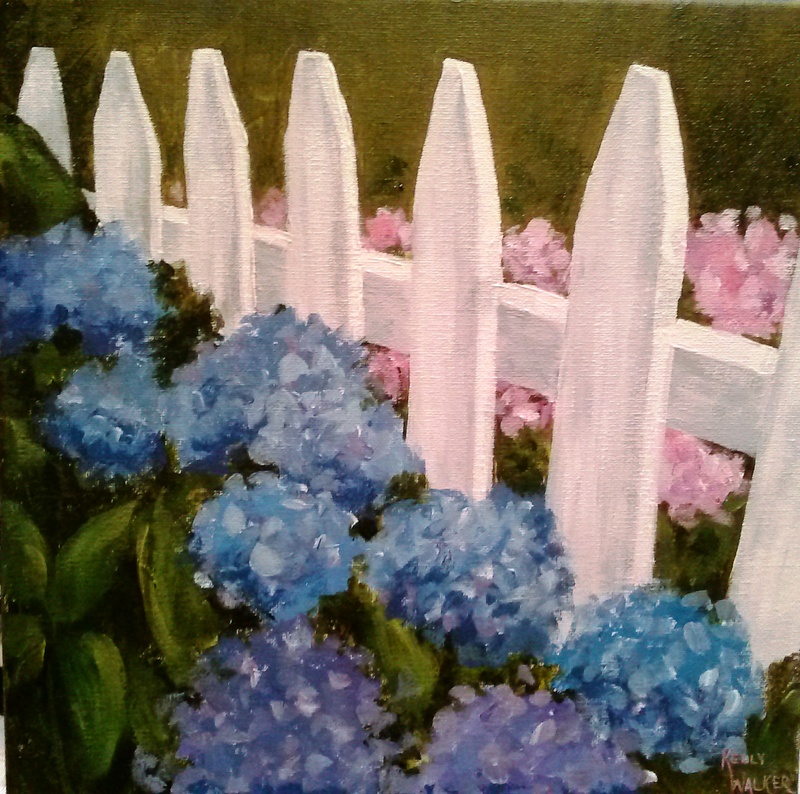 She loves blue Hydrangea so I painted this one just for her. It’s a 12″x12″ acrylic on canvas. 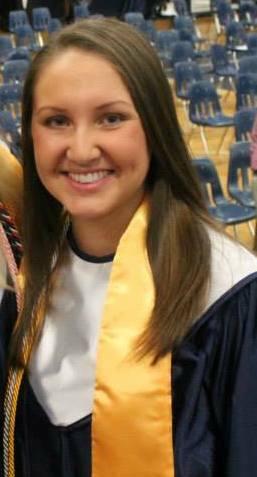 I am very proud of my niece, Alexis K. Floyd, who is graduating from Effingham County High School in Georgia today. She has excelled in school and will be going to Abraham Baldwin Agricultural College (ABAC) in the Fall. I know she will do good things! Congratulations and Good Luck Lex!! !